Earlier this month I came home to a parcel I’d very much been looking forward to, the Wildest Dreams Book Box! If you didn’t know, a few months back, I was very luckily chosen to be a rep for Wildest Dreams and this box was very gratefully received from Zoe, the owner of Wildest Dreams Book Box. So, what exactly is the Wildest Dreams Book Box? It’s a monthly YA subscription box packed with a new YA release, tea and other goodies relating to a particular theme for less than £20! For February the theme was “Truth or Lies”. Keep reading to see what was inside this month’s box. “Ella Black seems to live the life most other seventeen-year-olds would kill for . . . Until one day, telling her nothing, her parents whisk her off to Rio de Janeiro. 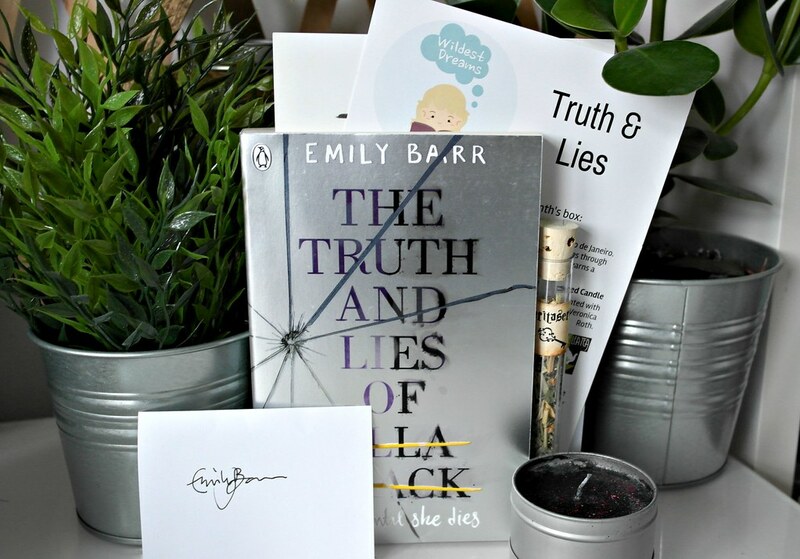 Determined to find out why, Ella takes her chance and searches through their things.And realises her life has been a lie.Her mother and father aren’t hers at all. Unable to comprehend the truth, Ella runs away, to the one place they’ll never think to look – the favelas. Next up is the “Lies Require Commitment” candle by Taken Moons. I’d been meaning to get my hands on one of Taken Moon’s candles for a while so it was nice to see this included in the box. 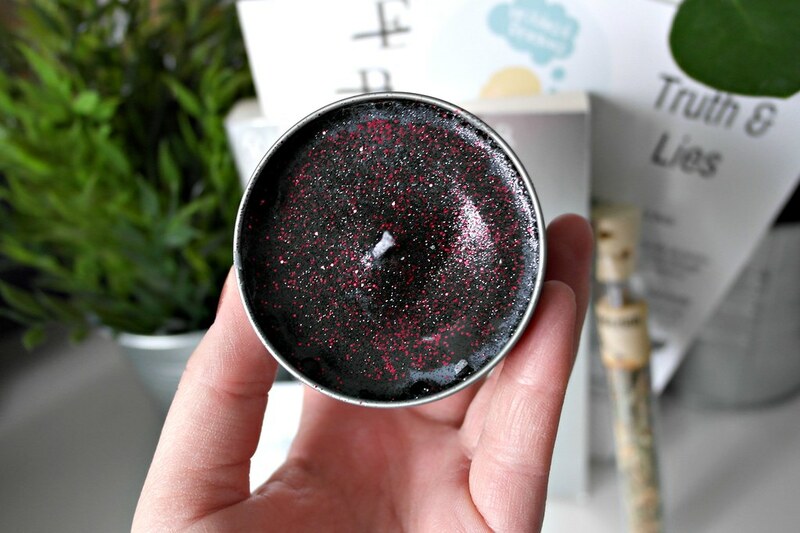 Inspired by Divergent, this candle smells of black cherry which always reminds me of the red cola bottle sweets – yum! 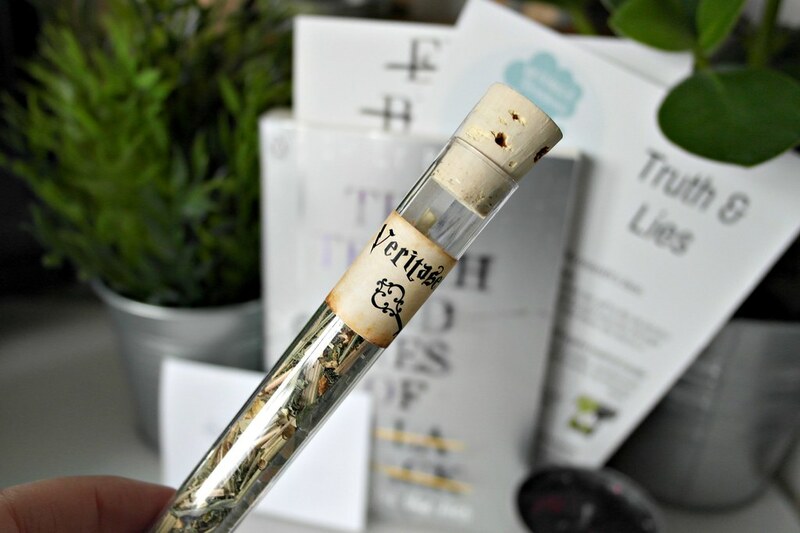 This month’s tea was lemon and ginger flavoured and named “Veritaserum” inspired by Harry Potter, so of course I already love it! The packaging is so unique and makes for a very cool gift, it definitely stands out compared to tea received in other subscription boxes. I really appreciate that Zoe includes empty tea bags to brew the tea, and even includes instructions which makes it so much easier for tea novices like myself. Once again, the Wildest Dreams Book Box has succeeded! At such an inexpensive price point compared to its competitors but not at all lacking in quality, there are plenty of reasons why you should get your hands on one of these boxes. I think it’s important to note that this box is brought to you by just one person, Zoe, who obviously puts a lot of effort into bringing this all together; you can practically feel the hard work that’s been put into curating this box! I also have serious envy of the packaging skills as the book always comes wrapped super neatly and securely. If you use code “AMYJANEALICE10” you will receive a discount, so what are you waiting for? Make sure to get your hands on the next Wildest Dreams Book Box! *Book Depository links used. If you purchase through this I receive a small commission.